The union of pure beeswax with pure oils creates a deep, penetrating salve for the chef to restore overworked, tired hands. Of course it can be used to sooth hands, elbows, and feet even if you don't cook! 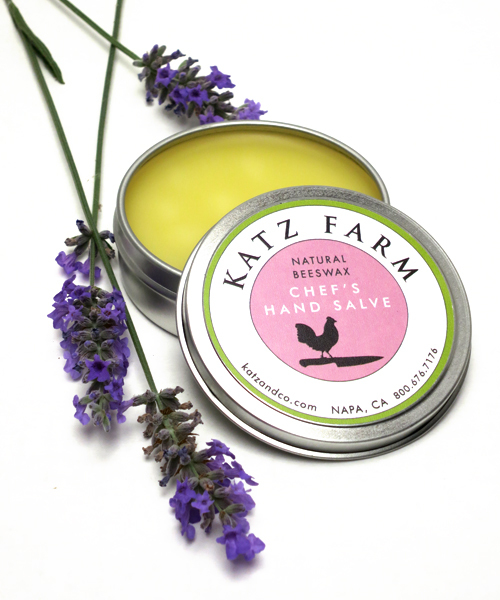 Each recycled tin is carefully crafted from aromatic lavender with beeswax, vitamin E, olive and almond oils!